The time has come. You rocked the holiday decorations this year, and that awesome feeling has left you in denial, but it’s time. One minute you’re swearing you’ll have your holiday decorations down by the new year, the next minute it’s mid-January, and you’ve got that droopy tree still lingering in your living room. What’s more, you’ve got boxes half packed with decorations you’re not completely sure you need. Don’t worry, we’ve been there. And that’s why this year we felt inspired to share some simple ways to gut the holidays out of your home so you can focus on 2019. If you’re looking to dump that tree, we’d recommend simply dropping it off next time you pass by Santa Rita Park. Throughout the end of January, the park will be collecting all dropped of trees and wreaths to be recycled. This month-long effort put on by the City of Durango’s Parks and Recreation Department ensures these trees won’t end up rotting in the trash but rather recycled into mulch. Residents are encouraged to drop their trees off at the designated site near the large playground. It’s normal to accumulate decorations over the years, but eventually, it’s good to declutter them. If you’re still on the fence about parting with some of the many pieces you have, ask yourself, “Is this something I want to carry into my future?” If you can’t imagine leaving it, then by all means, keep it! But if you’re unsure, it may be best to let it go. While it can be difficult to let go of these memorabilia, it may help to think of the families who would get to appreciate your donated decor. If these decorations brought you joy, think about the joy it can bring to others! For those items you do decide to donate, we’d recommend giving to local non-profits like the La Plata County Humane Society so your donations not only get passed on but support the local community. Well, that takes care of the holiday decor, but what if there’s still clutter? Like those puzzles and toys your sister-in-law bought for the kids that they simply don’t want. Or the toys your young ones don’t play with anymore since they’ve grown out of them. One of the best ways to purge toys is to donate them to local youth programs. By donating to places like Café au Play or the Boys and Girls Club of La Plata County you’re not only cleaning out your home from unwanted toys but helping local non-profits shape the future of the youth. 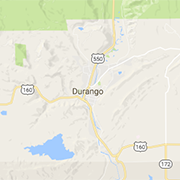 Obviously, there are many opportunities to donate in the Durango and these are just a few options. If you’re still looking for inspiration, check out some of the many non-profits and organizations in the area and reach out to see what kinds of donations they accept. Good luck and happy purging!